What makes me happy? Music, bright colors, a smile, friendly people, flowers. To many things for one quilt. So I had to choose and I picked the smile and the flowers. 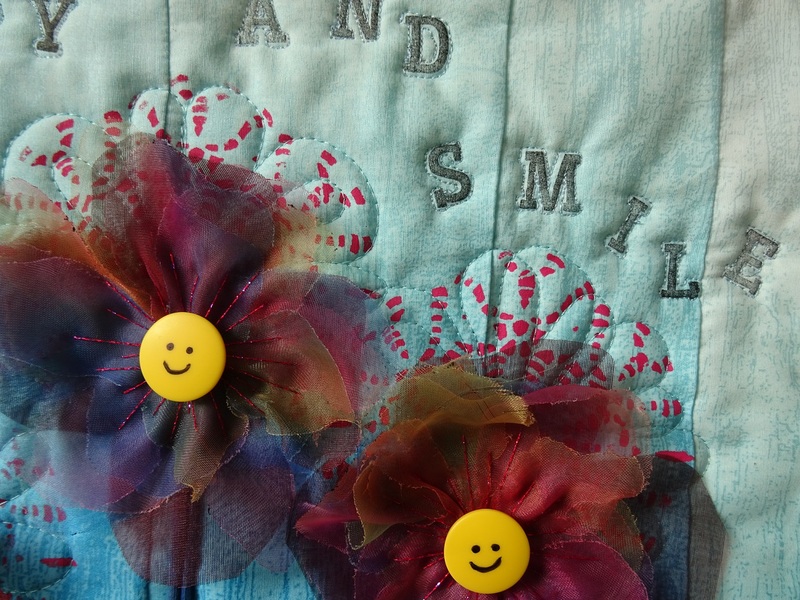 That’s why I made a quilt with smiling flowers. The background is a variegated fabric. I made a small bargello with three fabrics. The text is stamped and the flower-shadow is done with a stencil and fabricpaint. For the flowers I used rainbow organza and a dark red one. The centre of the flowers is a yellow button. The green flowers on the bottom are felt flowers I could not resist when I saw them and I thought I would use them one day. 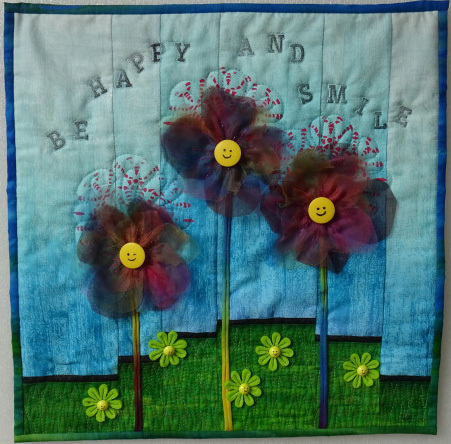 So may this quilt make you happy and smile. What happy faces, well done, one has to smile and be happy looking at those flowers, like the bargello technique. It worked! it made me smile….